oakbeamuk.com, part of Original Architectural Antiques Ltd, is a specialist stockist for reclaimed and finished air dried oak beams. Their website provides those looking for oak beams with an easy to use enquiry form , and also the ability to buy from a selection of listed popular beams online. Their website has been live since 2004. Oak Beams are a considered purchase and therefore customers will invest time researching style, quality, cost, location, available sizes and availability of the beams across several suppliers before making an enquiry or purchase. oakbeamuk.com found that whilst they had a healthy amount of traffic coming to their website, largely supported by their Adwords Keywords activity, over 90% of visitors were leaving the website without making an enquiry or completing a purchase. This presented itself with a few issues: the loss of a potential sale, lost repeat orders, and investment in driving traffic that generated little return on oakbeamuk’s end. oakbeamuk.com invested in Remarketing to keep their brand at the front of the visitor’s mind, and to bring them back to the website to make an enquiry or place an order. The aim was to re-engage lost visitors and encourage them back to enquire or purchase, so the segments were built around how visitors previously behaved on the website. 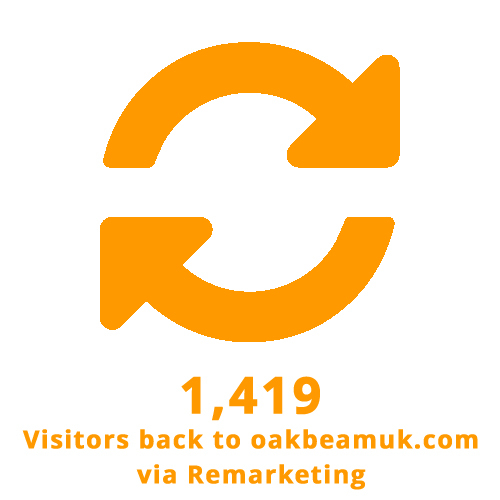 The next step was to get the essential remarketing tracking code applied throughout oakbeamuk.com. Digital Gearbox worked directly with oakbeamuk.com’s website builder to get this correctly and quickly installed. Once the segmentation strategy was agreed and the tracking code in place, the hard work began. The next step was for the team at Digital Gearbox to do all the time consuming set up activities and to create some really compelling adverts to encourage people to come back to oakbeamuk.com. 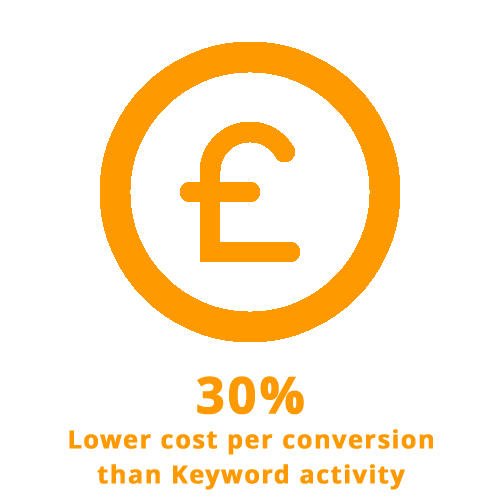 The performance of any online marketing relies on expert optimisation so as soon as the Remarketing went live the team were monitoring the results and optimising the campaign to give the client the highest possible return.